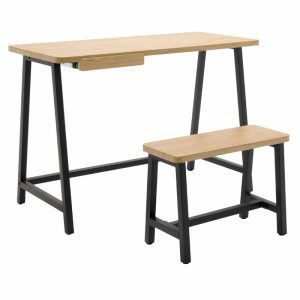 The Niche File Cabinet by Calico Designs features a compact design that allows it to be used alongside a workstation or it can fit under a desk to save space in your office. The locking supply drawer allows you to secure supplies, if necessary. 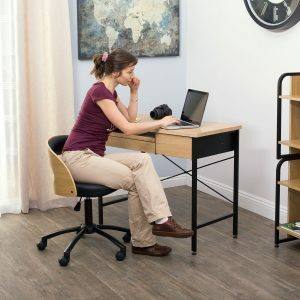 Two open storage compartment on top provide easy access to supplies. 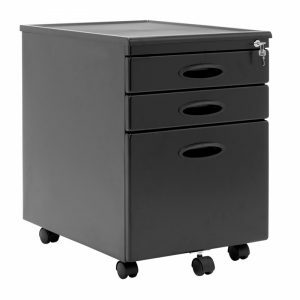 Casters allow you to easily move it; a caster under the pull-out file drawer provides stability. 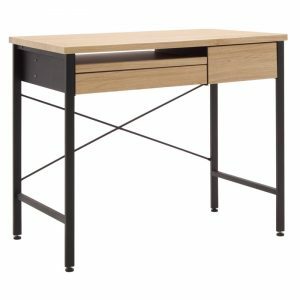 It accommodates letter size files behind a modern/minimalist, no handle front panel. 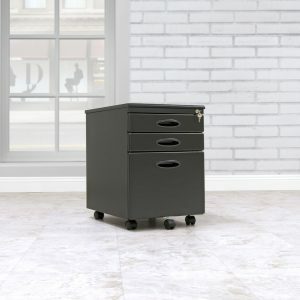 This vertical file cabinet will make a statement in your home or office.